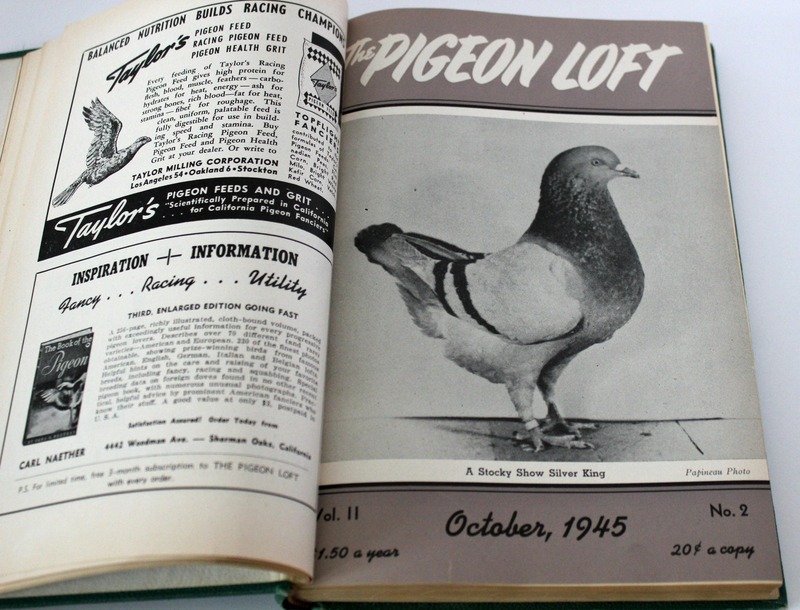 The Pigeon Loft II vintage book. This is a hard back book that is a compilation of all 12 monthly issues from the second year of the magazine by the same name. 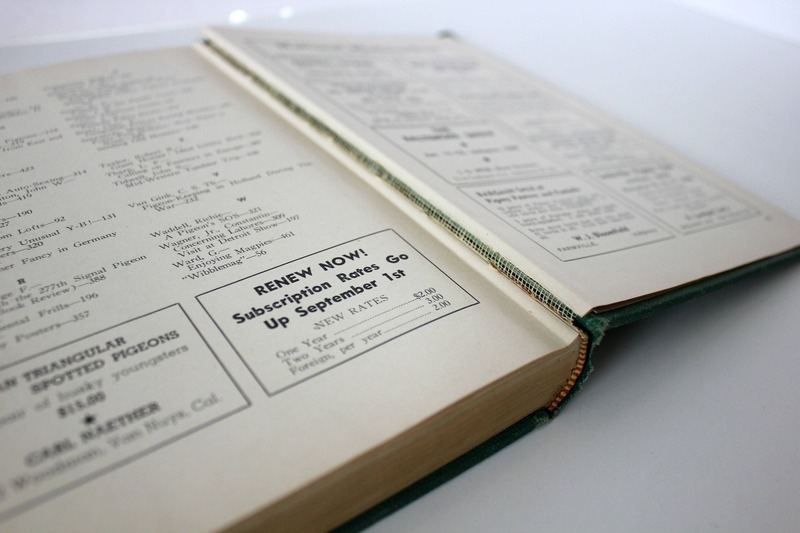 Each page consecutively numbered, with indexes in the back by subject and author. 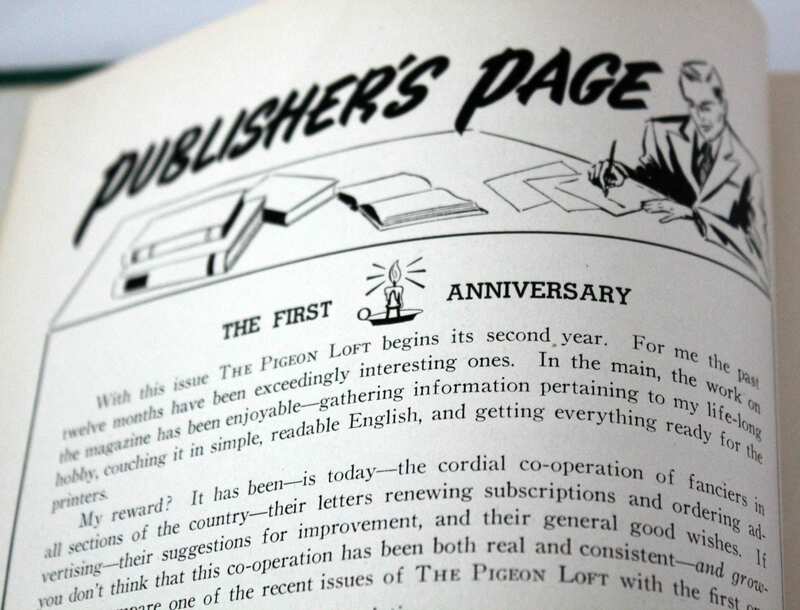 You get 12 issues spanning from September 1945 - August 1946. Condition is good, but with the following issues. 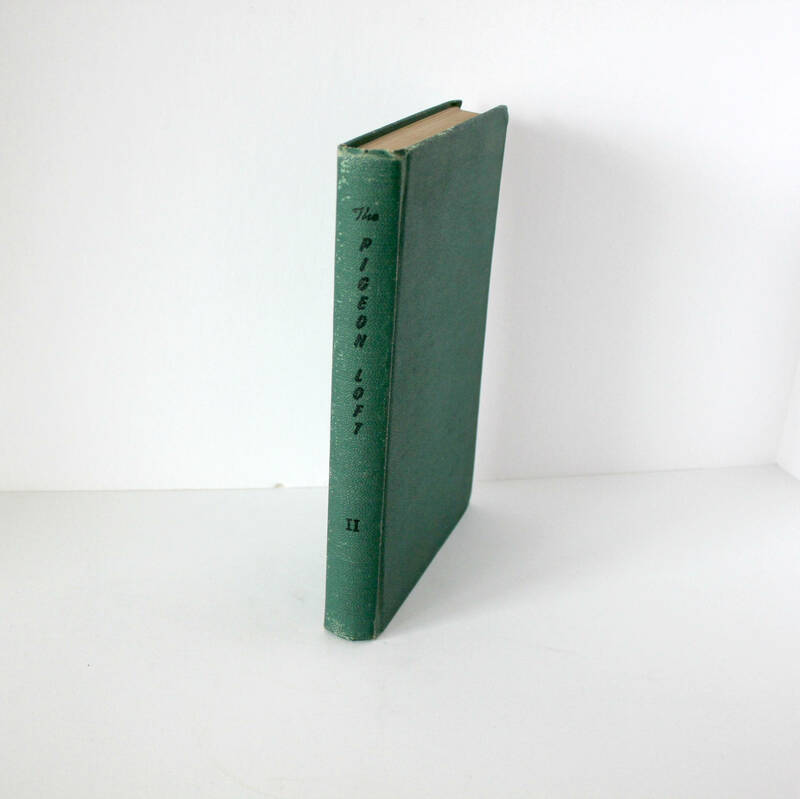 The binding is split at the back only, please see last photo. 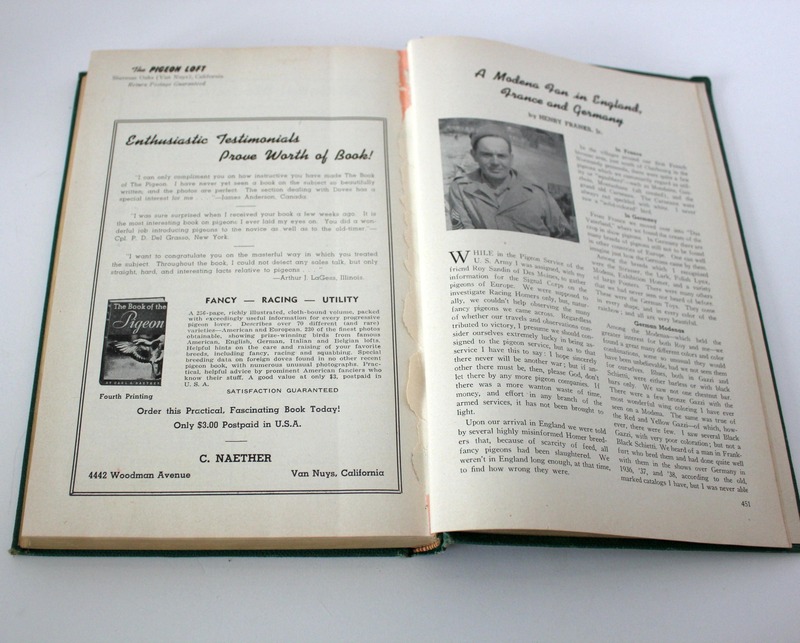 The cover page of the Sept. 1945 and the August 1946 issues have been torn out. These are shown also in the above photos. Otherwise the book appears complete. 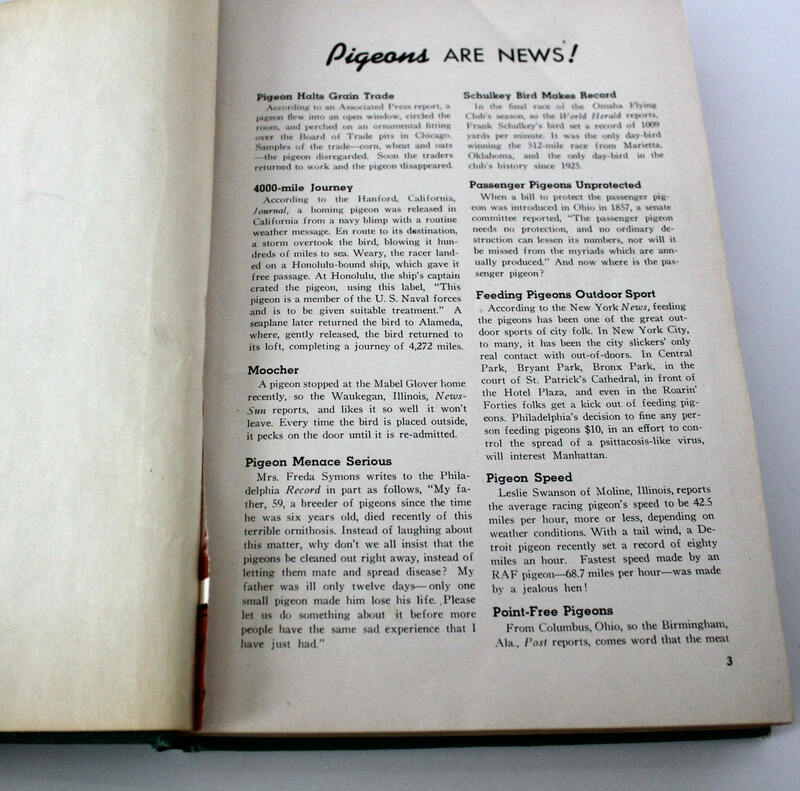 Pages have some sunning and some minor signs of having been used.